Sony Xperia M C1904/C1905 user guide manual – Sony Xperia M was released on August 2013 with dedicated camera shutter button and aluminium power button along with volume rocker keys on the side. Sony Xperia M C1904/C1905 come with several widgets on home screen to support 4.0 inches TFT capacitive touchscreen and Android 4.1.2 Jelly Bean. 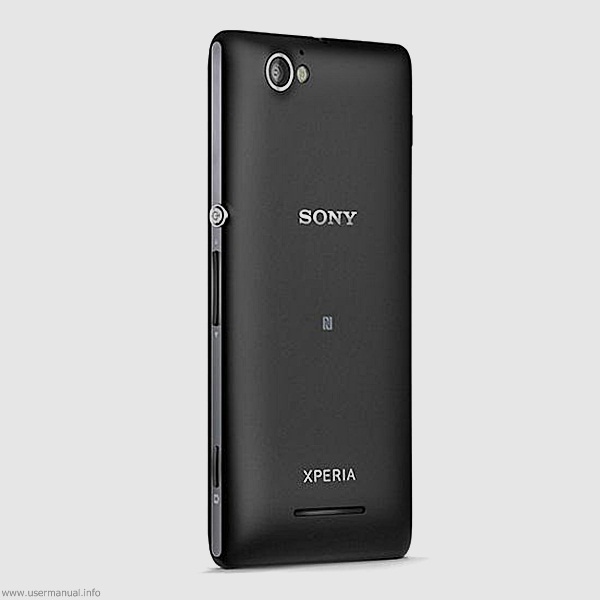 Sony Xperia C1904/C1905 also come with dual SIM support and known as Sony Xperia M Dual C2004/C2005. Sony Xperia M C1904/C1905 equipped with specifications and key features such as: 124 x 62 x 9.3 mm (4.88 x 2.44 x 0.37 in) in dimension with 115 g (4.06 Oz) in weight, 4.0 inches TFT capacitive touchscreen display 16 million colors 480 x 854 pixels screen display with four finger multitouch and scratch-resistant glass protection, microSD up to 32 GB, 4 GB internal storage, 1 GB of RAM, 5 megapixel rear facing camera with autofocus and LED flash, VGA as front facing camera, run Android 4.1.2 Jelly Bean operating system, powered by 1 GHz dual core processor Qualcomm Snapdragon S4 Plus MSM8227 Adreno 305, Li-Ion 1750 mAH battery, stand-by time up to 454 hours and talk time up to 9 hours. Sony Xperia M C1904/C1905 user guide manual available to download in pdf file format with 2.2 MB size and contains of 123 pages. Sony Xperia M C1904/C1905 user guide manual will help owners with tutorial and settings about Google Maps, Bluetooth, NFC, DLNA and other features. Sony Xperia M C1904/C1905 user guide manual also available in Spanish language with 2.25 MB size and 131 pages.